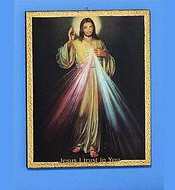 Welcome to Ave Maria Rosarie's Catholic store. We have all sorts of fine items for devoted Catholics. If you see an item that appeals to your faith, you can order it with confidence. All orders are processed with high security on an SSL server. Your information is strictly confidential. This is our fifth year in business on the web. 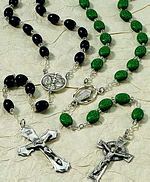 Rosaries designed and crafted with love and devotion, heirloom quality keepsakes . Created in our studio. 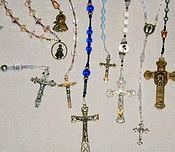 An Outstanding Collection of Fine Rosaries, collected from around the world. 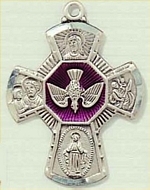 Medals, Crucifixes, Crosses of Sterling Silver, 14 k Gold, Bronze or Pewter from around the world. 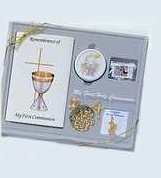 Gifts for First Communion, Weddings, Confirmation, Birthdays and Other Special Occasions. Devotional Works of Art from around the world. Icons, prints, Statuary, Rosary Boxes and Other Items. 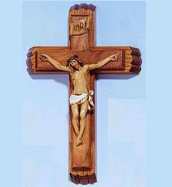 Beautiful Crucifixes, Crosses and Stations of the Cross, First Communion Crosses crafted of fine hardwoods and metals.